Reading the Xfam (Pfam & Rfam) update about Rfam and I have to say, it is a great to have the Xfam, Ensembl, and other databases blogging about what they are doing, have done, and will do. This is an important feedback mechanism for these sites and can allow users and developers to interact. It also gives users and data consumers more information. I realize there is an overhead in information sharing and most science-places prefer to have a dramatic announcement at a conference – but I mean we already know that Svante Pääbo’s group will announce the neanderthal genome project progress before the meeting. We’ve had some debates in the lab about the future of scientific meetings (or at least the number we attend) as scientists attempt to reduce costs and our carbon footprints so perhaps there will be some shift in how and when information about project progress is shared. I’m looking forward to seeing more Blogs and information sharing about project progresses from genome centers and database providers. 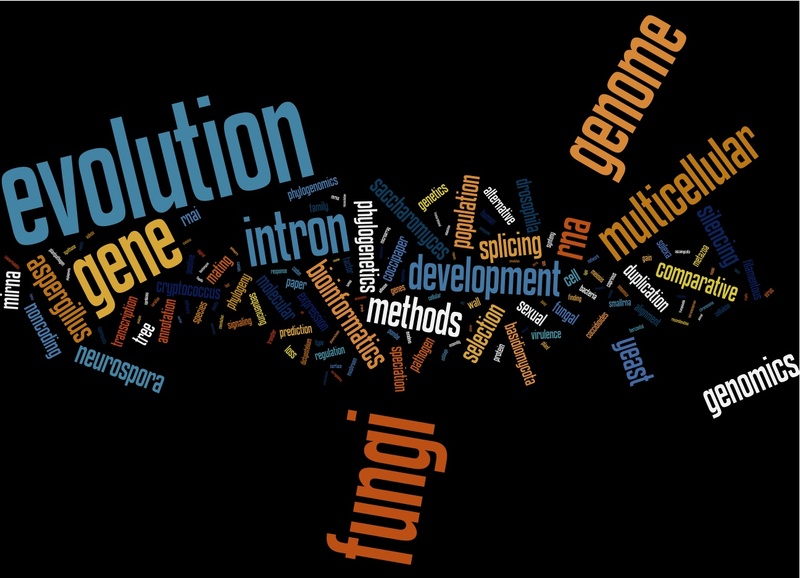 I’m happy that the Broad does provide a page with the current status of fungal sequencing projects for those of us who care, and the JGI has all of the project tracking available. When these things move to the realm of being RSS follow-able (or twittered!) it will be really useful. In the same way one can track pubmed @NCBI with email updates and RSS feeds for papers from your searches it would be nice to see more of this information from different centers beyond having to scrape the trace archive logs to see what was uploaded recently. So more concretely I’m interested in short and simple data feeds about project progresses, not full blown press releases. I’m also interested in the developers sharing where the projects are going and have gone. Something the Xfam folks seem to be giving a nice try. OMG Carl Zimmer’s site is, um, revealing. Jonathan when will we see a PLoS Tattoo? I mean I know you have the license plate). Actually knowing you, you are probably somehow entwined in Carl’s house of human art & science? This rocks, thanks for doing it Carl – great to see people loving their work to put it on their bodies. Screencast of online lab notebooks through OWW wiki. You can own the shirt now in case you really wanted to wear a genome geek label. From Reed Cartwright in a message sent to Evoldir. actually improve science education in the state. At SMBE in Halifax, Nova Scotia for the week. Some Bloggers are meeting up to chat blogging and science. Looks like it will be a good time if I can beat this head cold soon.